Elon Musk says we'll have self-driving Teslas next year. This expert isn't convinced. Earlier today, Futurism reported on Elon Musk’s claim that he’s “certain” fully-autonomous Teslas will hit the streets by next year. Now criticisms of that bold promise are already rolling in. 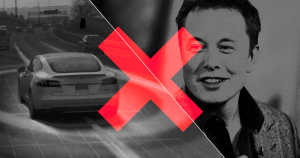 Karl Brauer, the executive publisher at the vehicle conglomerate Cox Automotive, told CNBC that he thinks Musk is exaggerating Tesla’s progress toward fully self-driving cars. Brauer pointed out that Musk has a history of making bold, exciting predictions and claims about his own companies before ultimately dialing them back. Brauer argued that Tesla has developed some impressive semi-autonomous technology, but the idea that it’ll have autonomous vehicles by next year is taking things too far. According to documents published by the California Department of Motor Vehicles, Tesla doesn’t test any autonomous cars on California roads. “To say you’ll have all conditions solved in the next 12 to 18 months — nobody else is making that claim and there are some pretty big companies out there like Google who are doing this and have been doing this for a decade,” Brauer said. It’s certainly possible that Tesla will surprise everyone and deliver on these ambitious promises. But based on the state of autonomous vehicles at large, Musk probably didn’t give himself enough time to sort out the many challenges.